For years, Capital Accountant, Inc has been providing quality, personalized financial guidance to local individuals and businesses. Our expertise ranges from basic tax management and accounting services to more in-depth services such as audits, financial statements, and financial planning. Capital Accountant, Inc is one of the leading firms in and throughout the area. By combining our expertise, experience and the team mentality of our staff, we assure that every client receives the close analysis and attention they deserve. Our dedication to high standards, hiring of seasoned tax professionals, and work ethic is the reason our client base returns year after year. Our mission is to help clients maintain financial viability in the present, while taking a proactive approach to achieve future goals. This requires open communication to reach an understanding of our clients' needs through research and sound analysis. Capital Accountant, Inc is dedicated to meeting these goals with high standards of excellence and professionalism. We have been a staple of the area's business community for years, and pride ourselves on the level of esteem we have earned. Our dedication to hard work has earned the respect of the business and financial community in and around the area. We believe this to be a direct derivative of our talent and responsiveness to our client base. Whether you are a current or prospective client, rest assured that individuals and businesses who choose Capital Accountant, Inc receive competent and timely advice. Kelly founded CAI in 2003. Prior to that, she held various positions as the Director of Finance & Controller for companies such as Station Casinos & MGM Mirage. Kelly earned a Bachelor of Science in Business Administration from UNLV with high distinction and achieved her Certified Public Accountant and Certified Management Accountant designations in 1993 while working for KPMG Peat Marwick. She holds a Certified Fraud Examiner designation and was founding member of the Las Vegas Chapter of CFE's. Kelly is also a member of the American Institute of CPA's as well as the Nevada Society of CPA's. Jenn joined CAI in October 2004. 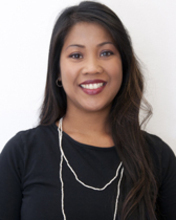 Jenn’s areas of concentration include our Real Estate and Construction/Development clients. She has extensive experience with numerous software programs with specialization in payroll systems. Jenn is a long-term resident of Southern Nevada and is active within the community. Sasha joined CAI in September of 2013. She graduated from California Polytechnic State University San Luis Obispo where she received her Bachelors degree in Business Administration with an emphasis in Accounting. She is currently pursing her CPA certification and hopes to be licensed in 2019. Sasha handles the accounting for several companies and assists with special projects including business plans and proforma preparation. In her free time Sasha enjoys hiking, running, and cooking. Terri joined CAI in January 2004. Terri earned a Bachelors degree from San Francisco State University in 2002 and works with our Food & Beverage Clients. She has extensive experience in financial accounting departments that serviced large leasing operations, including retail, culinary and specialty operations. 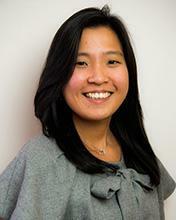 Linda joined CAI in May of 2013 as a Staff Accountant. She was born in South Dakota but has lived in Las Vegas, Nevada for the past 25 years. She has over 20 years of accounting and bookkeeping experience. Her daily tasks involve journalizing bank activity and performing reconciliations, performing sales audits and closing out financials at month end. She enjoys spending time with her grandkids and quilting. Nannette is responsible for accounts payable for most of our clients and works with vendors on a daily basis. She handles all invoices whether received electronically or physically. Check runs are done weekly and she is in communication with the clients to ensure all goes smoothly. Nannette was born and raised in Puerto Rico, where she earned a Bachelors degree in Business Administrative concentration in Accounting from the University of Puerto Rico. She has been living in Las Vegas for 2 years and is very happy to be here. Arabella joined CAI in October 2017. She is currently pursuing her AAS in Accounting at CSN with plans to transfer to UNLV. Her daily tasks include managing accounts receivable and QuickBooks entries for various companies. She was born and raised in Boulder City, Nevada. Arabella enjoys watching sports, cooking, and spending time with her dogs. Ana joined CAI in November 2016. Ana earned her Bachelor degree in Accounting in Indonesia, where she was born. She further her education by graduating from Master of Financial Analysis in Melbourne, Australia. She has experiences in small and family-owned businesses as well as international corporation in Indonesia. She moved to Las Vegas to be with her little family and loves dancing, music and swimming. Kayla joined Cai in 2017. She recently graduated with high honors from Northwest Career and Technical Academy where she was in the culinary program. Kayla will be attending CSN this fall to obtain core classes needed before she moves on the study in the field of animal science. 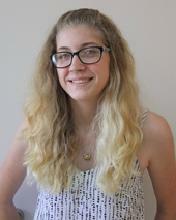 Kayla is a native Las Vegan and enjoys playing with her dog and spending time with friends and family. Born and raised here in Las Vegas, Jordan is passionate about finance, accounting, and photography. She has a background in tax preparation and management. When she’s not representing our clients, she enjoys hiking, checking out local restaurants, and spending time with her three cats.